Best Countertops | Kitchen Cabinetry | Bath Renovation | Free EstimateVoted Best of the Best Flooring & Design Store in Nashua NH. Specialize in all types floors, kitchens & bathrooms remodeling projects. Call us today for a Free Estimate! Your homes countertops are hardworking spaces, but that doesn’t mean they can’t be beautiful! 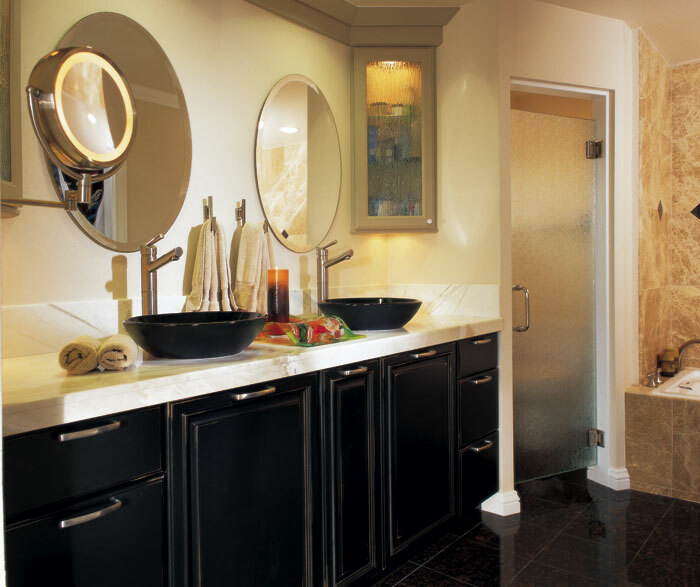 Gregory J Home Design Center is here to help you design your new kitchen or bathroom countertops; whether as a refresh for existing kitchen or bathroom cabinetry or part of a kitchen or bathroom cabinetry remodeling project. Granite Countertops – Certainly being from New England (and especially if you are living in NH!) 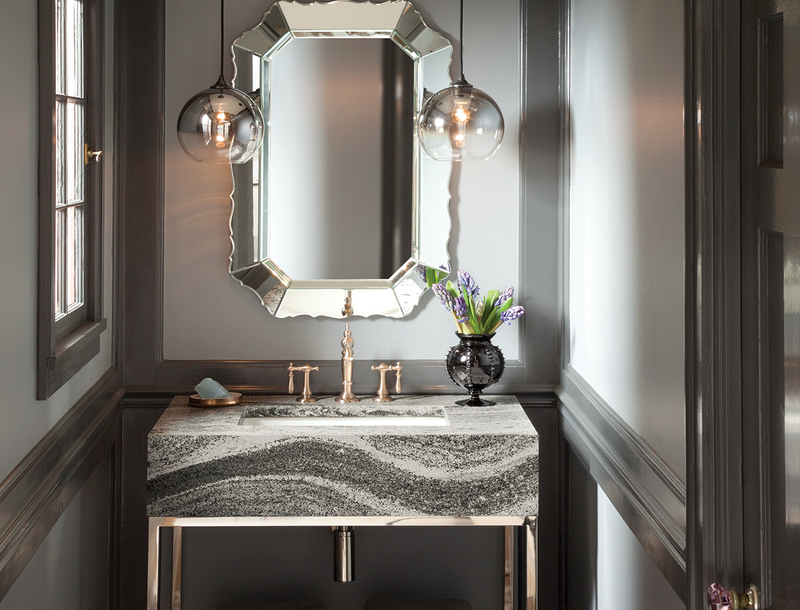 you will have an appreciation for Granite as a countertop material. Not only are the selections vast and easy to work with when designing your space with a granite selection in mind (or if you’ve chosen your floor and need to find a countertop to compliment), but it can also make quite a design statement. The prominence (or lack of) veining and characteristics of Granite can be a timeless, classy and stately enhancement to your cabinetry and flooring combinations. Sealing the stone properly will help resist against staining, etching and scratching. Marble Countertops – Elegant and sleek, marble countertops are a sophisticated alternative to Granite. This natural stone can also feature minimal to heavy veining (the streaks of color running throughout the stone) and can either be highly polished to a pristine finish, or honed or leathered for a more organic and natural effect. Marble countertops are extremely versatile, making for a space whose design can easily range from the appeal of ancient Greek and Roman statues to working in an ultra-modern minimalist space, depending the pared with design elements in your flooring and cabinetry choices. Sealing the stone properly will help resist against staining, etching and scratching. Quartz Countertops – Let your countertops sparkle! Not only due to Quartz’s natural bacteria and mold resisting properties, making it ideal for a kitchen or bathroom use, Quartz countertops can mimic the movement found in Granite, Marble or Natural Stone, but the manufacturing process allows for the Quartz countertops to be enhanced with metallic properties and vibrant colors. These metallic flecks reflect the light in your space and can be real sparklers to experience, bringing you a fun and exciting alternative to natural stone. The 94% content of natural Quartz combined with man-made resins result in a non-porous surface, which in turn offer a greater resistance to scratching, etching and heat retention than 100% natural stone options. Hardwood Countertops- Typically made out of Maple, Cherry and Black Walnut (Maple being the hardest option), hardwood countertops add a warmth and character to your space. 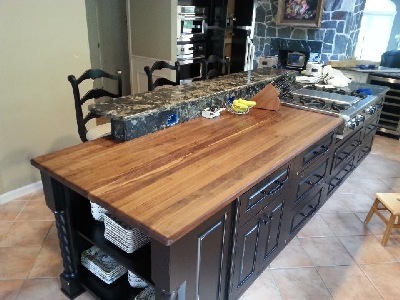 When properly cared for, these countertops can last a lifetime, and with age will only enhance in beauty. The paring of hardwood with Granite or Natural Stone offers the best of both design elements. The hardwood surfaces can be treated so that they are waterproof and stain resistant, or treated with food safe penetrating oils and beeswax for food preparation.